"The acquisition of Jeppesen was key to Boeing's strategic growth plan," said Lou Mancini, vice president and general manager of Commercial Aviation Services. "Its brand is powerful, and its customer base comprises nearly every airline in the world. If you're a pilot, no matter what you're flying, you know Jeppesen. 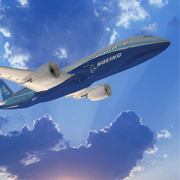 Boeing is the world's leading aerospace company and the largest manufacturer of commercial jetliners and military aircraft combined. Boeing has customers in more than 90 countries around the world and is one of the largest U.S. exporters in terms of sales. Develop products and services that are environmentally progressive. Work together with our customers, employees and communities on activities that promote environmental protection. Operate in compliance with applicable environmental laws, regulations, and Jeppesen policies and procedures. Prevent pollution through energy and resource conservation, waste reduction and recycling. Continually improve our environmental management system.